Bloomsbury Children's Books, 9781681199580, 240pp. In the seventh tale of the Wide-Awake Princess series, Princess Annie's beloved home Treecrest has become a favorite destination for all sorts of magical beings. One new set of guests are particularly strange, and they are ready to take over a new hunting ground. Annie and Liam turn to their only friends who can help, Francis and Zoe. But when Francis and Zoe arrive in Treecrest, the new hunting group is having too much fun to pack up and go home and nothing Francis or Zoe say seems to help. Can Annie, Liam and their new friends figure out a way to reclaim Treecrest before it's overrun with hunters? Or will Annie lose her one true home? 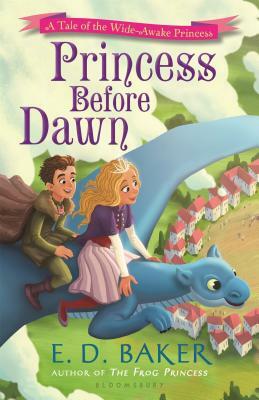 E. D. Baker is the author of the Tales of the Frog Princess series, the Wide-Awake Princess series, the Fairy-Tale Matchmaker series, the Magic Animal Rescue series, and many other delightful books for young readers, including Fairy Wings, Fairy Lies, and A Question of Magic. Her first book, The Frog Princess, was the inspiration for Disney's hit movie The Princess and the Frog. She lives with her family and their many animals in Maryland.